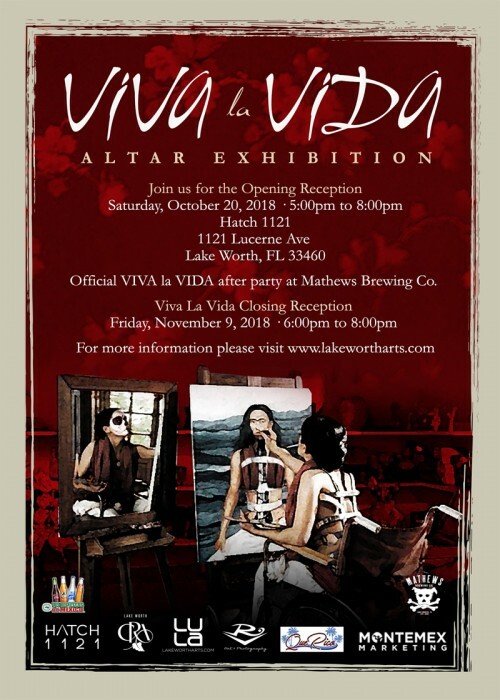 Please join us for a closing reception of the Viva La Vida Altar Exhibiton, part of the 3rd Annual Dia De Los Muertos Lake Worth celebration held on November 3rd. The Souls of Children are believed to visit the Earth October 31st to November 1st. The spiritual altar is one of the most distinctive ways Day of the Dead is celebrated. An altar is made in honor of the deceased and can be displayed at a grave site, or in the home. Offerings of food, beverages, and prized possessions are displayed on the alter. For more information please call (561) 493-2550. Admission and parking to this exhibition are free. 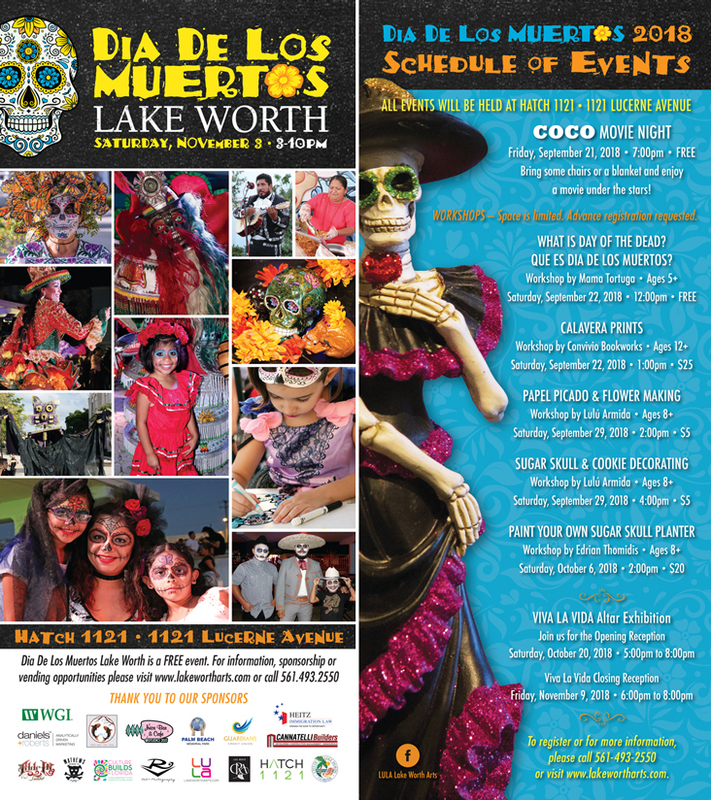 Download the Dia De Los Muertos event brochure and schedule.